Ta-da! 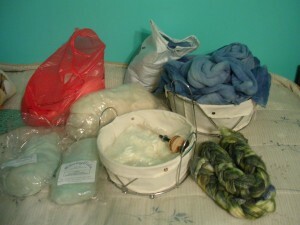 All two pounds of fiber dyed blue and dry. Now we come to fun part. Spinning them. And spinning them ASAP. 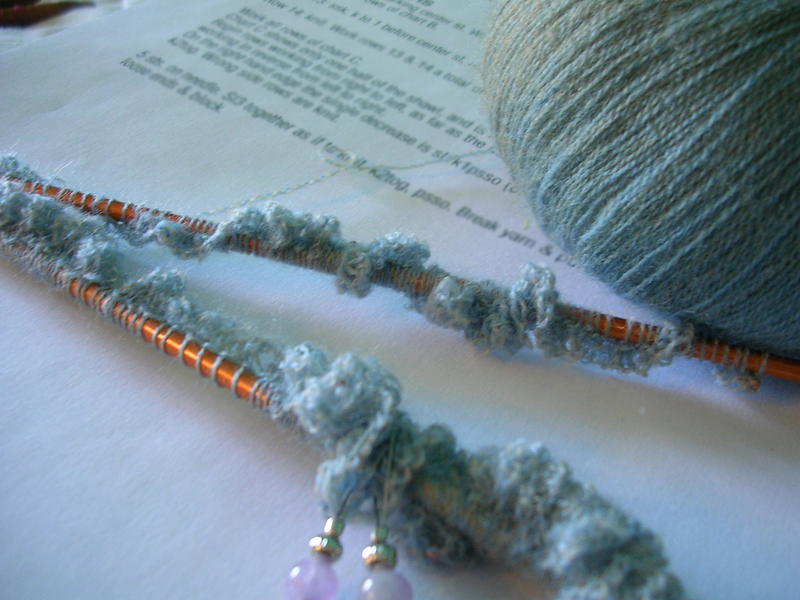 At the time, I wanted to have all this yarn spun up by mid-October, and I still do— (I hear the rustle of calendars as you look at the date. I can dream, can’t I?) It didn’t seem so difficult at the time, but the trouble was that my usual loyal, supportive G. P. Adams & Co wheel was full of silk. 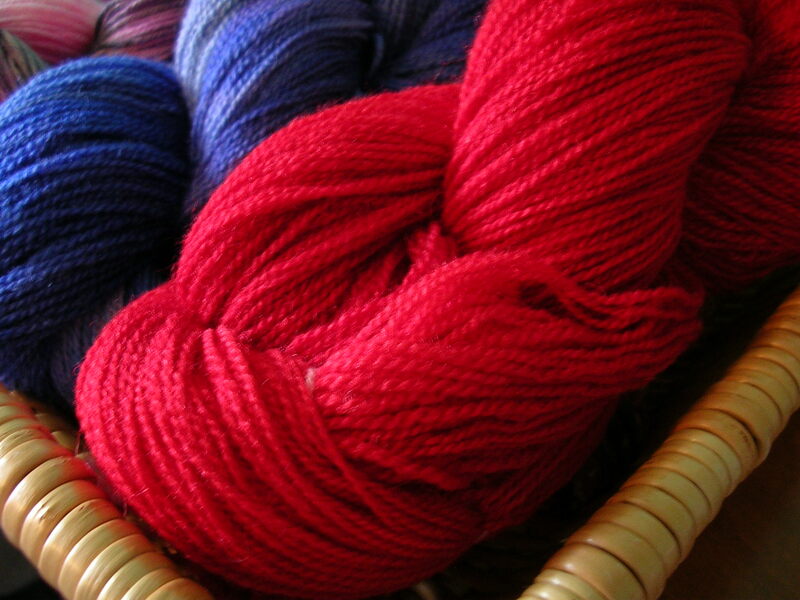 And I did not have time to finish spinning that project before I began the indigo. 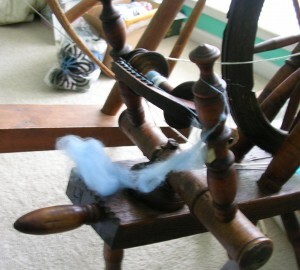 Therefore it was time to try out the two antique spinning wheels that my father bought. Scary scary. Two unknown wheels and a deadline. I started with the one that treadled best. This poor wheel had literally come to us in pieces and had been put back together by my grandpa. On its maiden voyage (ha ha) it behaved well for a while, then began throwing a fit. And throwing its drive band. When that didn’t deter me, it decided to snap the single at any and every opportunity, and if it could snap the single about two inches after I had rejoined it, that was even better! Well, I couldn’t sit around and deal with it so I put it in the corner to think over its attitude and got out the other wheel. Yes, you read that right. A very good friend (and fellow spinner!) sent me some fur from her dog for my birthday present. I’m going to spin it on the Great Wheel as soon as I finish up the fall colored fleece. Talk about motivation! Let’s get that fleece done! She also sent some rescued cotton bits from pill bottles. I’m very curious to see how they will behave on the wheel.